There will be two reactions to the news that Paul Pester has stepped down as chief executive of TSB. 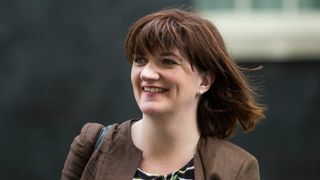 One will be "about time".The other will be "how rare, in this day and age, to see a boss falling on his sword".Nicky Morgan, the influential chair of the Commons Treasury select committee, falls squarely in the first category. 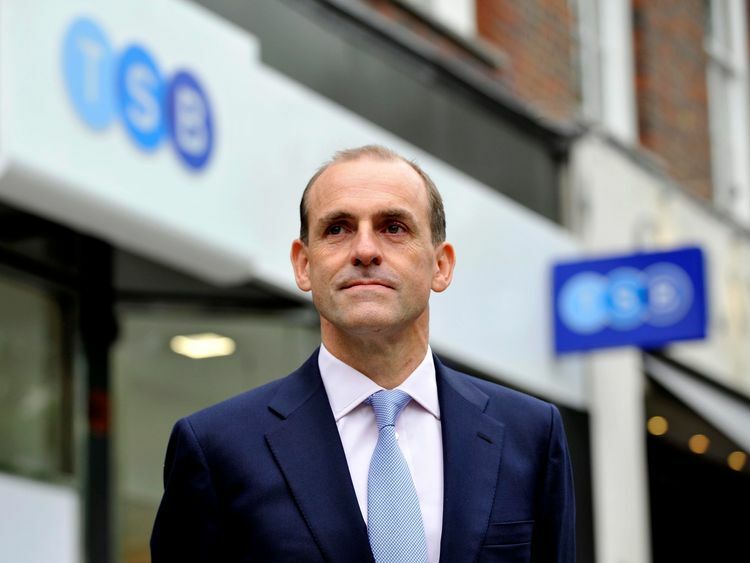 :: Embattled TSB boss leaves with €1.2m in payShe said this morning that it was right that Mr Pester was stepping down. 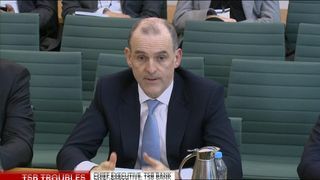 The irony is that Mr Pester would probably have gone earlier in the summer had Ms Morgan and her committee not demanded in June that TSB sack him.That was putting a gun to the head of the TSB board and, in particular, its chairman, Richard Meddings, who has taken charge of the bank's day-to-day running on an interim basis while a new chief executive is found.Best known in the City for his 11 years on the board at Standard Chartered, seven of them as finance director, Mr Meddings is not the sort of man likely to respond well to a committee of MPs telling him how to do his job.He achieved a degree of notoriety when, in 2012, he was widely reported to be the unnamed StanChart executive who, according to a report by a US regulator on the bank's dealings with Iran, said: "You f***ing Americans. "Who are you to tell us, the rest of the world, that we're not going to deal with Iranians? 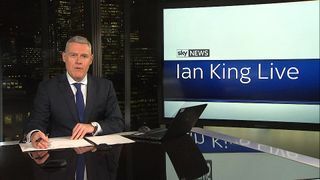 "There is, therefore, a nagging sense that TSB's chairman will have wanted to put some distance between the Treasury select committee's call for Mr Pester's head and his eventual departure.Mr Meddings was also part of the Standard Chartered team which, in September 2008, helped the then prime minister, Gordon Brown, formulate a response to the financial crisis that saw taxpayer bailouts of Royal Bank of Scotland and Lloyds TSB.That latter bailout, ironically, ultimately resulted in Lloyds having to demerge TSB as a penalty for receiving state aid.Mr Pester was chosen by Lloyds to oversee TSB's demerger and to run it as a separate business.He not only did that but also led the bank into its stock market flotation in 2014 and its €1.7bn takeover by Banco Sabadell of Spain in March 2015.During that time, TSB has emerged as a capable challenger bank, taking its customer base to more than five million and increasing the size of its balance sheet - as it pointed out today - from €18bn to €31bn. That is a far from shabby legacy for Mr Pester to be bequeathing his successor.The roots of his demise, though, were sown in the demerger. After several years during which its IT systems continued to be run on Lloyds's platform, TSB was obliged to move its customer accounts and data onto a platform run by its new owner, Sabadell. Accounts vary as to what exactly went wrong.There have been claims that TSB did not carry out sufficient tests and that it ignored warnings from IT contractors about the new system.Mr Pester himself has been accused of insisting on a "big bang" approach to the migration rather than a gradual move.Either way, the Financial Conduct Authority is continuing to investigate the situation and so, on behalf of TSB, is the top City law firm Slaughter and May.But the outcome was that the migration was botched and, for many days and in some cases weeks, up to 1.9 million TSB customers were subsequently denied access to online and mobile banking services.The cost to TSB, to date, is €176m.The bank insisted, at the outset, that it was appropriate for Mr Pester to stay in place to fix the problems. Since then, though, it has been dogged by further IT problems.It was forced last month to postpone until 2020 a migration of millions of debit card customers from Visa to Mastercard and then, last weekend, further IT glitches emerged.It is unlikely that Plymouth-born Mr Pester, a keen runner and surfer whose swimming coach father once taught Olympic medallist Sharron Davies, was entirely to blame for the fiasco.Sabadell was anxious to migrate TSB's IT systems away from Lloyds's platform and onto its own because it was effectively having to pay rent to the Black Horse bank.The saving to TSB from migrating platforms was put at €1bn over the next decade and so it is possible Mr Pester was pressed by his Spanish bosses to move as quickly as possible.Who succeeds him is unclear.Mr Meddings said today that there were some strong internal candidates, but external ones could include Jayne-Anne Gadhia, the outgoing chief executive of Virgin Money and Craig Donaldson, chief executive of Metro Bank.Today's developments ought to make other chief executives shudder. TSB is not the first big company, and certainly not the first bank, to have suffered an IT disaster.But Mr Pester is the first chief executive to have carried the can for such problems. He will not be the last.